Currently, I live on two acres of well wooded land in New Hampshire. To our east, directly across the road is a 4 acre parcel of forested land and to our west is the Warner River. Perhaps it is because we reside between these two animal-friendly plots that we are fortunate to have a very large number and variety of birds. I have yet to create a catalog of the many species we see or participate in the Annual Backyard Winter Bird Survey conducted by the NH Audubon, however, we do our best to attract as many birds as possible by providing the correct food at the appropriate times. 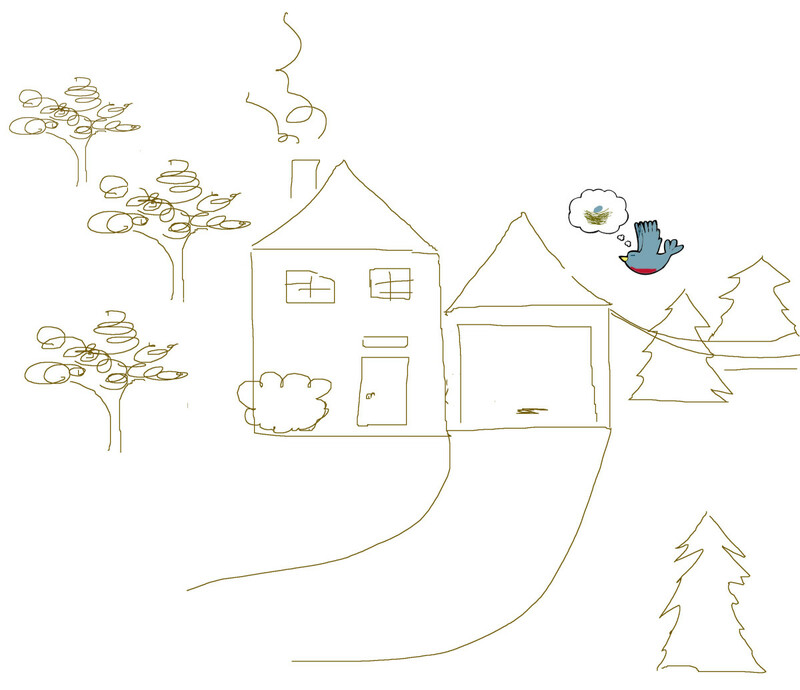 Our home is situated between a cluster of hemlocks and flowering trees, such as a crabapple and a Bartlett Pear. Stretched over the same side as the Hemlocks are the town's power lines where birds are very often perched. I'm fascinated by the resourcefulness of birds and their adaptations to proper nest construction. Nest building is a critical activity for many birds. Nests provide insulation and concealment among other important functions, not the least of which is a place to keep the eggs. 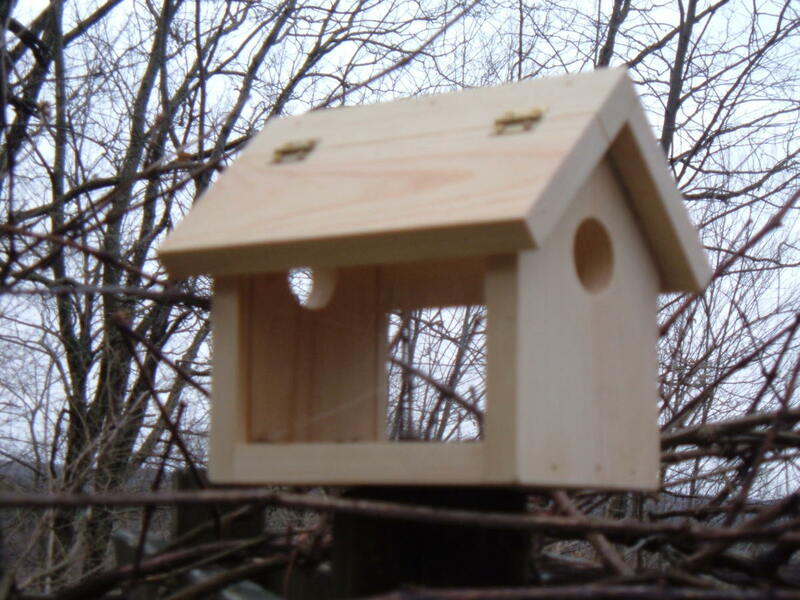 Birds use many different materials to construct their nests. A rather frugal bird had woven a gum wrapper amongst other twigs and grasses in a nest I had noticed last year. 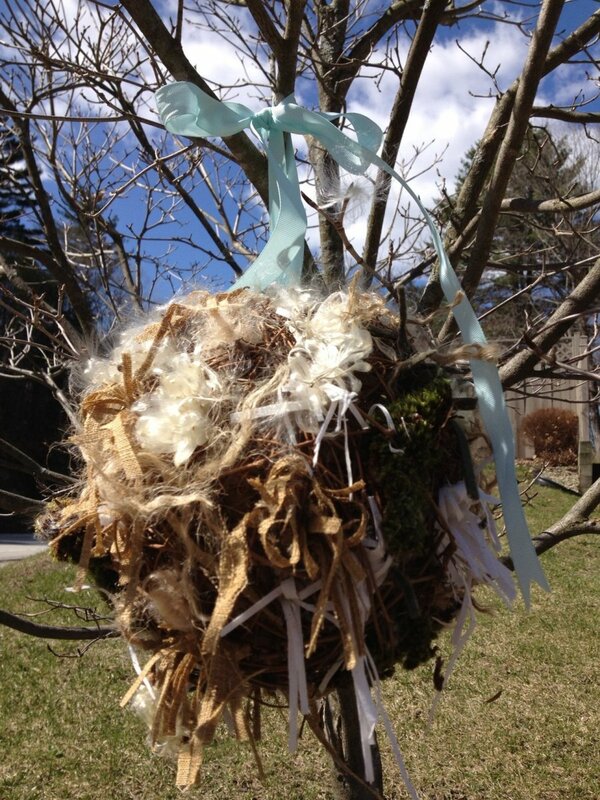 Although, the birds do not appear to need any help, I still wanted to offer a sort of 'welcome home' gift to these little creatures that we love watching so very much, so I decided to make a few bird nesting balls. 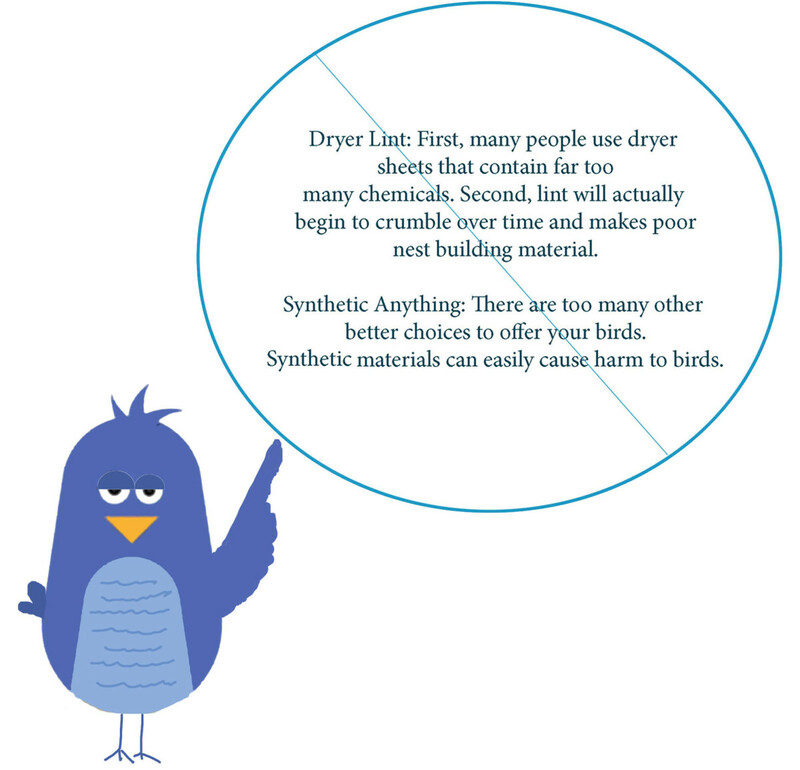 Cloth Strips: Use natural fibers as best you can. Use old fabric or old shirts cut into 3-6 inch pieces. 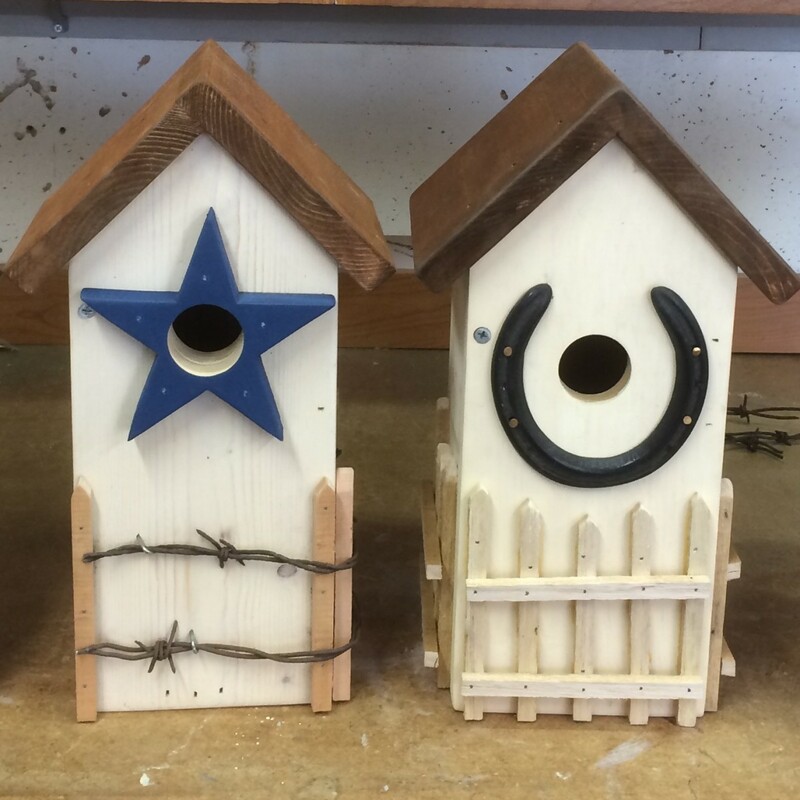 String: String, twine and yarn cut into 3-6 inch pieces can be quite useful to your feathered friends. Twigs and Tiny Branches: Collected from your yard during a day of gardening can be used. Grass Clippings: A very common nesting material. Hair/fur: Pet hair can be used provided it has been treated with any harmful chemicals, such as flea and tic medicine. If you have a sheep farm or an Alpaca farm nearby, perhaps you could collect a small bag after a recent shaving. Human hair can also be used. 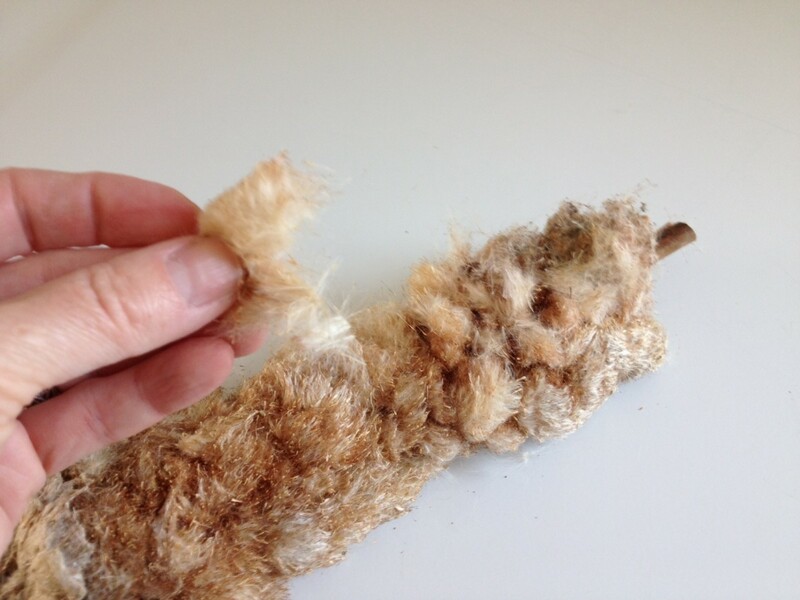 All Natural Fibers: Cotton balls (real cotton) can be used, as well as wool. 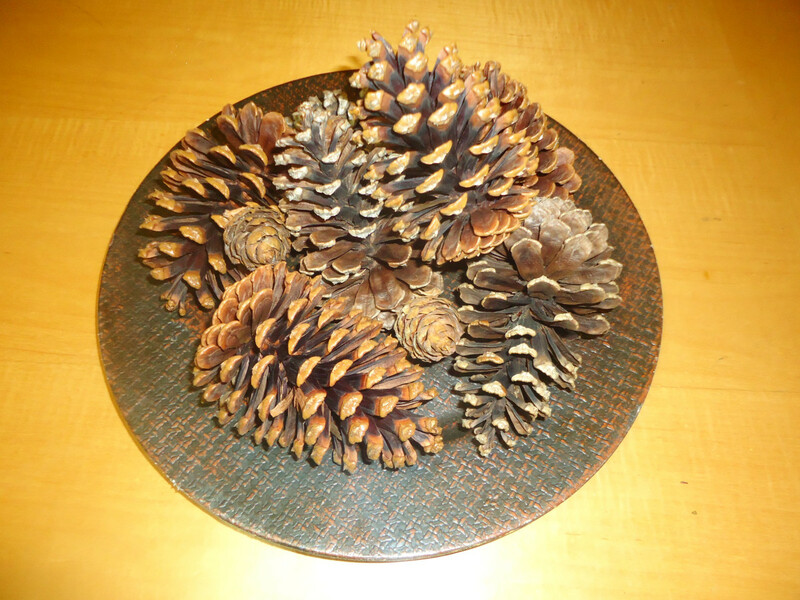 Feathers: Feathers from an old down coat or pillow would be great to add to your materials. 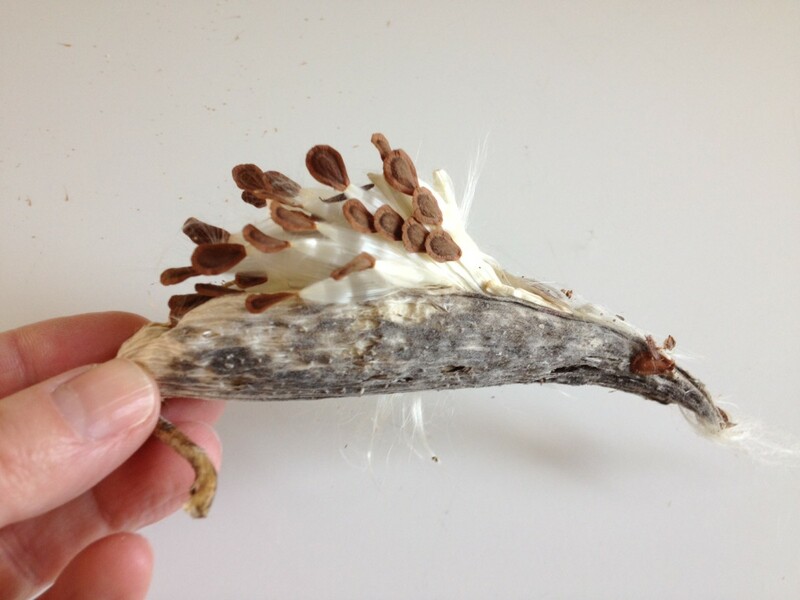 Cattails, Milkweed and Moss: on a recent hike, I collected a bag full of these three items. The cattails were so fat and fluffy. The milkweed had opened and nearly exploded. I though that all three of these items would make for a soft nest. I had a few grapevine balls that I wanted to use. 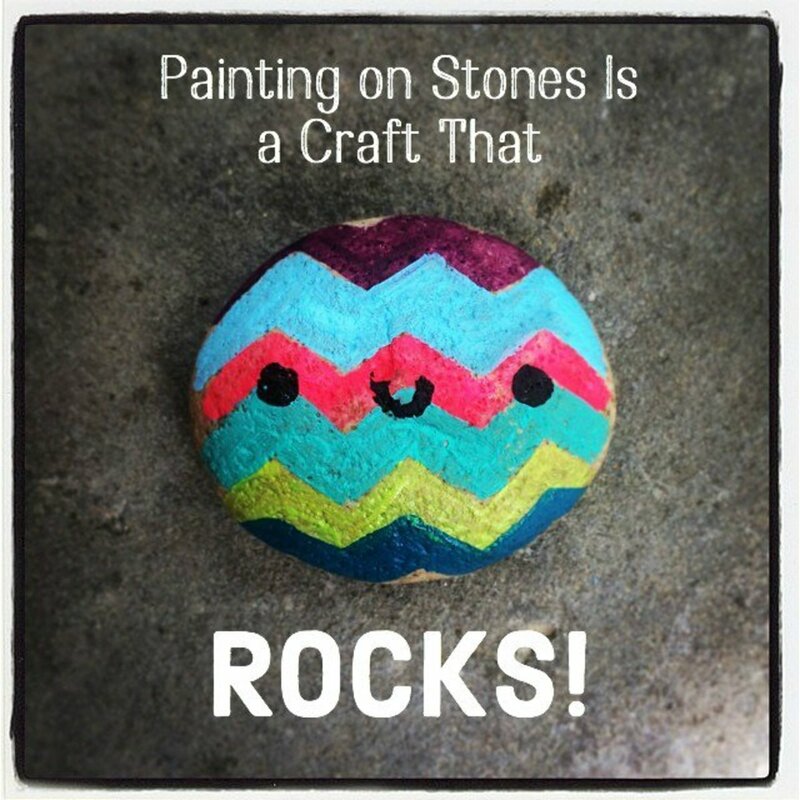 These are very easy to find at your local craft supply store. I also had fabric from a recent quilt making project, so I cut the fabric into thin strips. In order to collect the other materials, I grabbed a bag and headed outdoors for a hike. 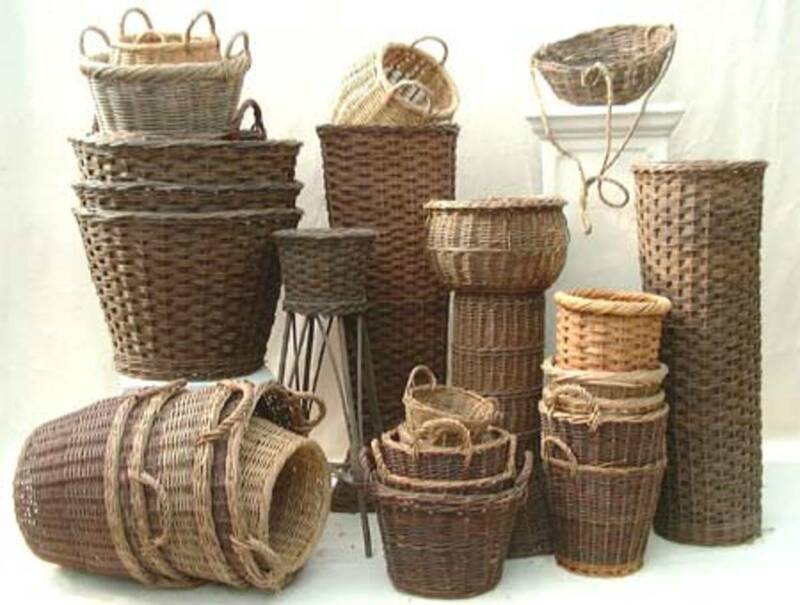 Once I had all my materials gathered, I simply began weaving the items into the vines of the ball. 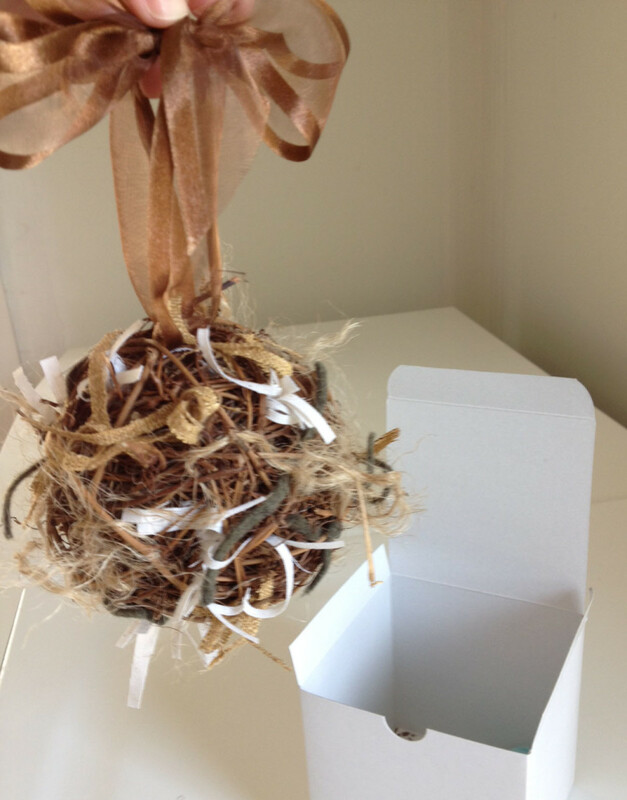 I also stuffed some of the material into the center of the grapevine ball. 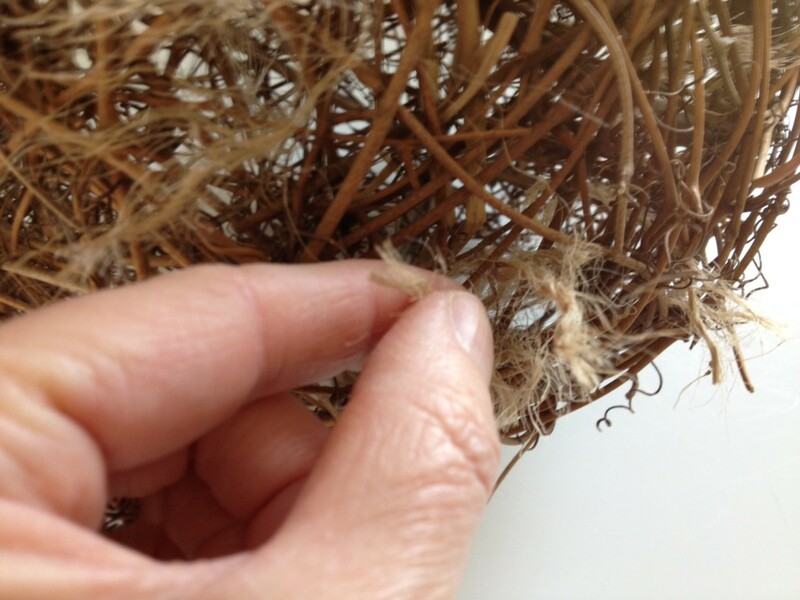 I covered the surface of the ball being careful that the fabric and twine were not too snug or too loose. 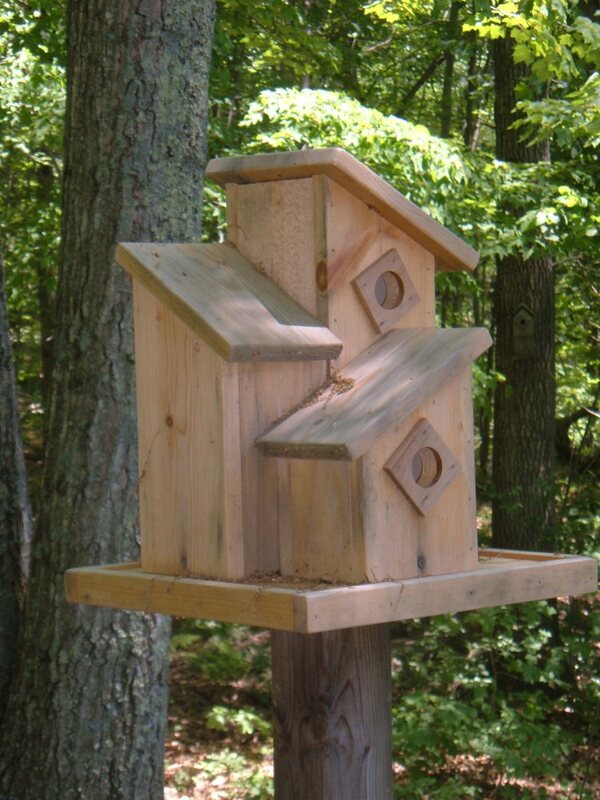 How Many Bird Species Have You Counted Near Your Home? This is an awesome article! 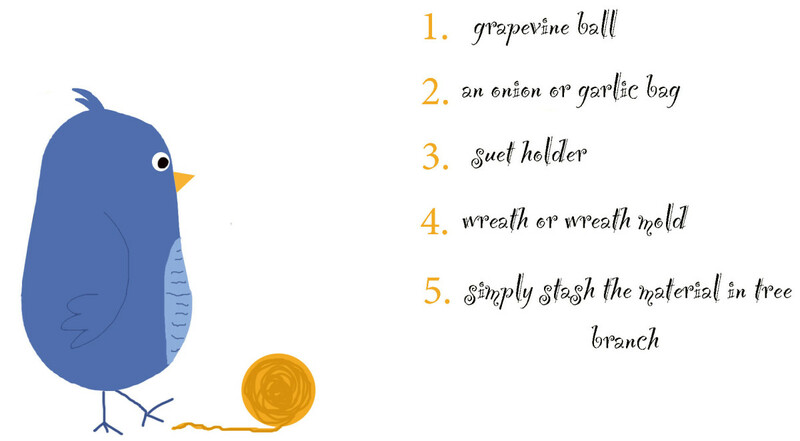 I LOVE the idea of a grapevine nesting ball. I was fortunate enough this year to provide nesting materials for a Northern Oriole. I first noticed her when she was scolding a long piece of 'thread' from a tarp my husband had over the woodpile. It was not letting go, and neither was she. However, she did finally have to relent. I busied myself cutting lengths of jute and cotton yarn, as well as tufts of leftover quilt batting. Carefully approaching the woodpile, I draped the pieces over that tarp. Before I reached the house, she was gathering up some of the treasures I had left for her. As I watched I decided to time her. It took exactly 8 minutes for her to return for more. Each time she carefully gathered up bits of all my offerings. I knew I had time to renew the stash before she returned. This went on for two days from early morning to late afternoon. 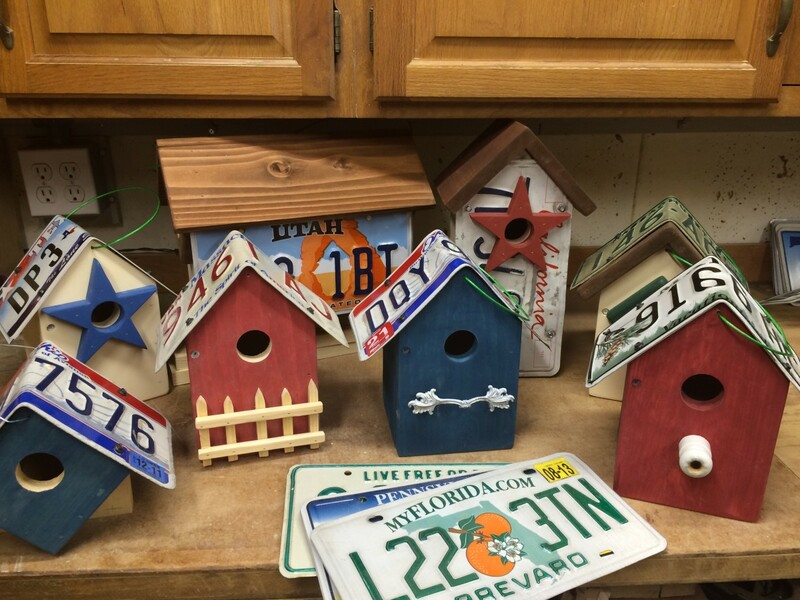 I felt very good about supplying soft materials for the next generation of beautiful orioles! I am definitely going to offer these grapevine balls to my birds in the spring. Yours are so beautiful and so well made! I truly applaud your efforts toward our wonderful avian friends. Voted Up, beautiful, interesting and awesome. 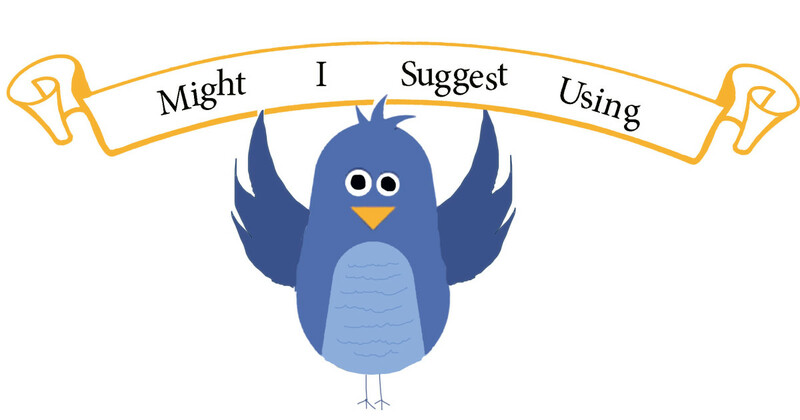 Absolutely loved your friendly and comical bluebird illustrations! I have also seen nesting balls made by simply using cotton. They were wonderful looking, created to increase awareness and funds for an intellectually challenged group. How sweet to lay out materials for birds to use in nest building. 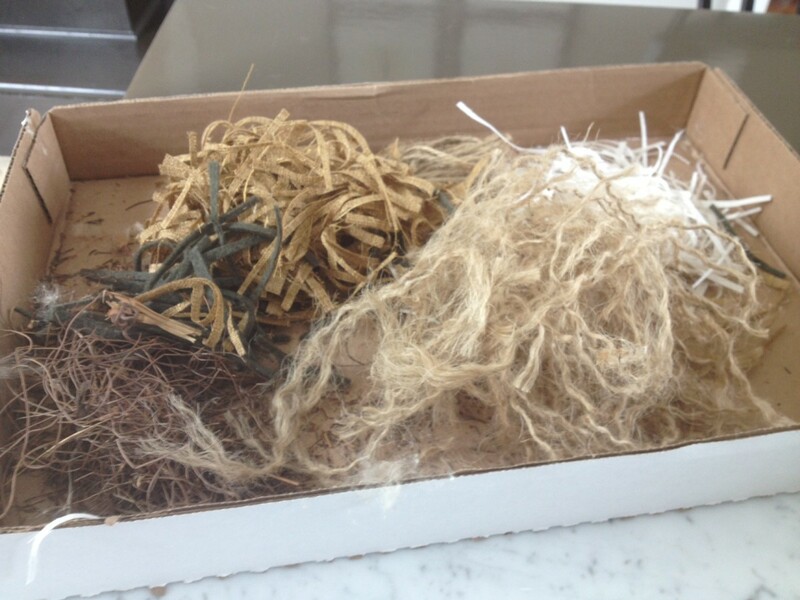 I can remember finding abandoned bird nests as a kid and seeing bits of familiar string, yarn and other stuff. Great Hub! 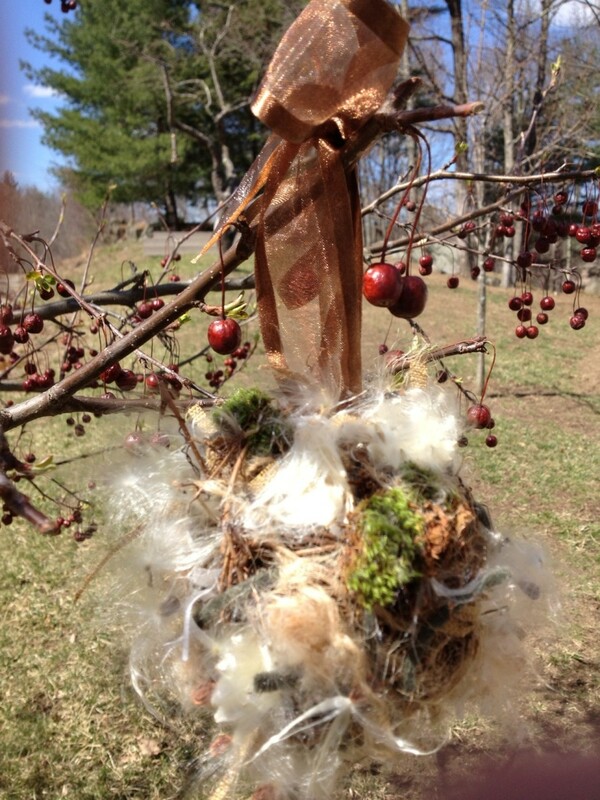 Faith, after collecting so many different materials, I was able to make several bird nesting balls for gifts ( my family loved them!) and give materials to a friend of mine with grandchildren. She planned on spending the day crafting with the kids ;) The nesting ball Im made for myself is now looking a bit battle-won. It appears that the birds have been busily pulling items from the ball! I'm so pleased that you enjoyed this hub.